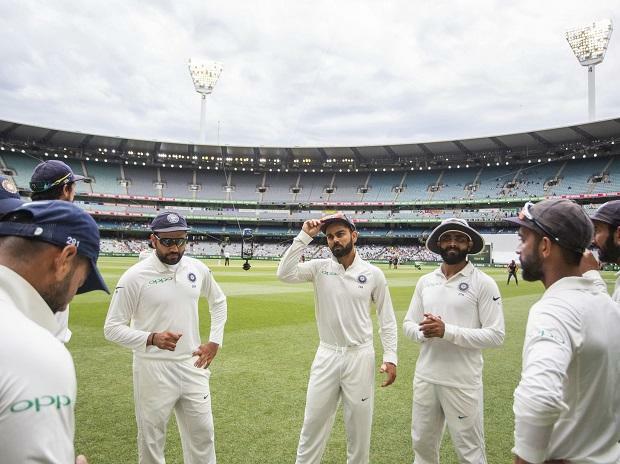 Bad light stopped play on the third day of the fourth and final Test between India and Australia here Saturday. Australia were struggling at 236 for six when poor visibility forced the umpires to stop the proceedings at the Sydney Cricket Ground. When the players walked off the field, Peter Handscomb and Pat Cummins were batting on 28 and 25, respectively, as Australia trailed India's first-innings total of 622 for seven declared by 386 runs. Australia 1st innings: 236/6 in 83.3 overs (Marcus Harris 79; Ravindra Jadeja 2/51, Kuldeep Yadav 3/71).